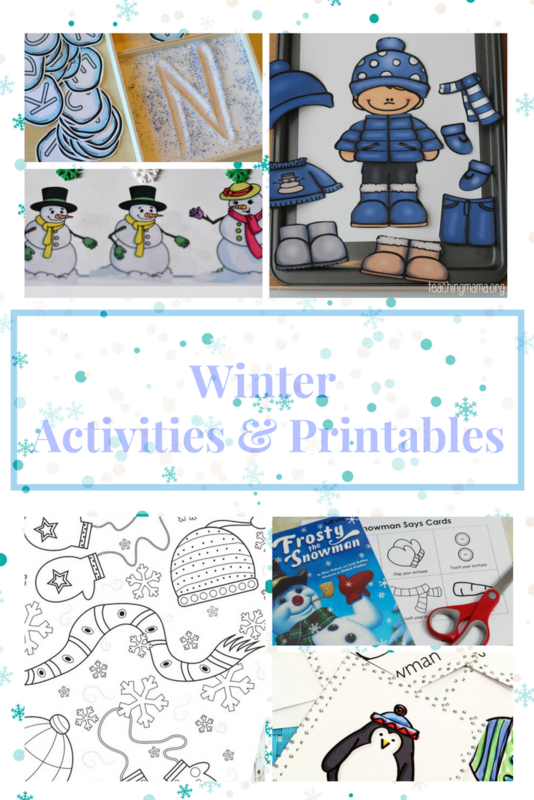 Winter Activities & Printables for preschoolers. Winter is a great time to stay inside and stay warm. Until the kids get bored. Stay warm inside and try a few free winter activities and printables. Perfect way to bring some of the “fun” of winter inside when it’s too cold to venture outside. Arctic Animal Flash Cards – Look! We’re Learning! With winter here for a little while longer, I’ve been on the lookout for some free printables to keep the kids busy over the next few months. I’m so excited to share all my finds with you- from learning activities to wither -themed game, you’ll find all kinds of fun winter inspiration to keep you busy all season long! These printables are cute. I’m sure the little ones ill have tons of fun coloring them. This is so awesome. I am definitely bookmarking this for winter! Our winter starts in June – my kids love the outdoors so they always get really bored when we keep them inside. These are too cute! I’ll have to pass this along to my best friend for her two little ones. These are just precious. If I had kids this age, I think they would have enjoyed these printables. I love these printables. There is a lot you can do in winter. I’m thinking of taking my kids sledding over the weekend if the snow stays! My kids are a bit older now but these winter activities and printable seem like tons of fun for the little ones. They sure will keep them busy and entertained. These are some great activities for little ones. I know my daughter who baby sits all the time would appreciate some of these printable to keep her little friends occupied. Exactly!! I know my kids love babysitters “That do something with them” more than those that sit on the couch and watch tv. There are quite a few easy ones that she can use with her little friends and they will love them! What a brilliant idea, this is such a great activities for preschooler. This would be perfect for my nephew. What a fun and cute activities ideas! My son will surely love this and it will make him so busy. I am needing some new ideas for my kids! Winter here in Wisconsin is so long, it is very cold here and we find ourselves home a lot on the weekends. My kids (and me) are going stir crazy! These aren’t just for preschoolers. my 9 year old will love these? I have a 6 year old and a 10 year old and there are a few here that they both really enjoy so yes!! That is a great list of activities. Luckily our Florida “cold front” has passed and we are back to the outdoor activities! These printables are fantastic! I’ll be passing this along to my cousin who has a preschooler who’s going to love these! These are such cute ideas! I have to send this to a friend of mine who has three kids this age. They’ll love it! Oh my gosh, these are a ton of great ideas! My almost 3 year old and I are getting major cabin fever, will definitely be trying some of these out! What a super cute theme! I need to print these off for my preschooler and do them with her, she would love it! Those printables are adorable and will be a lifesaver for parents of preschoolers! Winter can be a very challenging time when you have to keep those active little ones inside! Those printables are Perfect! Pinning this list for when we *hopefully* get a big snow storm! These are such great ideas! I’m always looking for more ways to keep my kiddo busy during this season! Those paper doll printables are adorable! I am always on the lookout for new ways to entertain the little ones inside! These are great printables for kids to use this winter. There is always plenty of inside time that kids need to be kept busy in colder climates. Now that my boys are older and I don’t have to entertain them, I miss this stuff! These are great activities! There are so many great activities for little ones here. It can be hard to keep them busy when they can’t go outside.